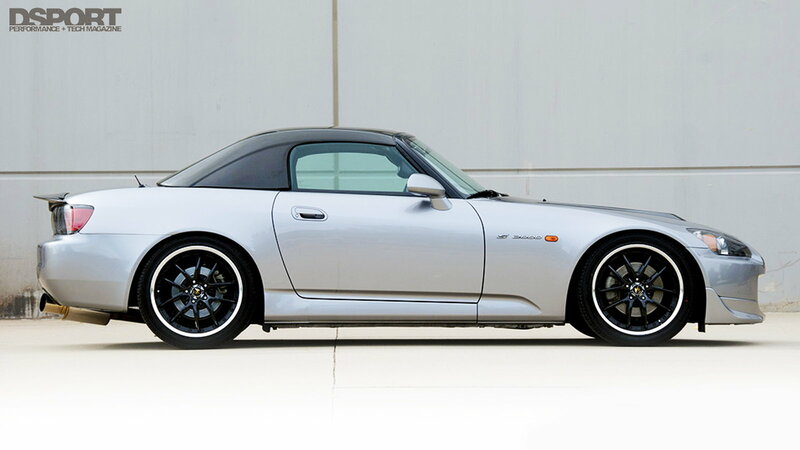 When the owner of a turbo component manufacturer went in search of the perfect rear-wheel drive Honda to take to the dragstrip there was really only one choice: an AP1 S2000. Denver, Colorado-based PFabrications has been turning out high-quality components, metalwork, and welding for a turbo-hungry enthusiast market since 2004. So, when owner Pang Cheung set his mind on building a new project car to show off his work, he was looking for something to tear up the quarter mile as well. Photoshoot on Saturday, race on Sunday, sell online all week long. Cheung wanted a Honda, and a rear-wheel drive one at that. When you add in his goal of making passes in the single digits, the field of viable candidates narrowed, leaving only the automaker's S2000. 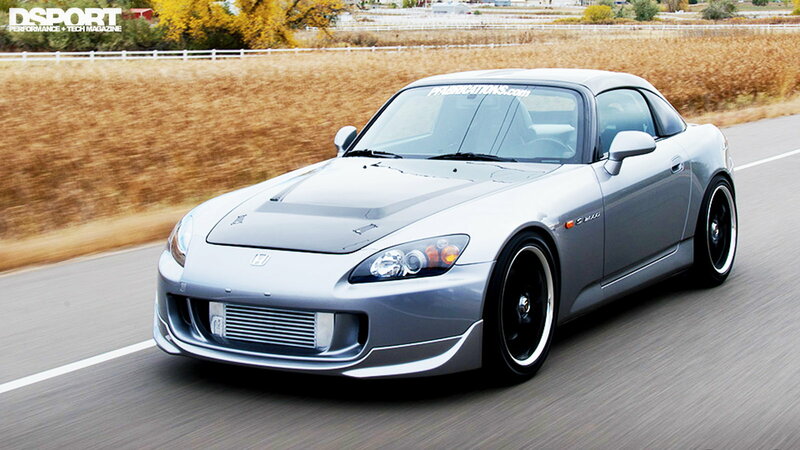 As he told DSport magazine, he was in search of the, "cleanest S2000 with the power to back it up." >>Join the conversation about the 605WHP SK2 right here in the S2ki Forum! Cheung found a suitable S2000, a 2000 AP1, and went to work. Since Honda's F20C has proven time and time again to be seriously overbuilt, he decided to keep the internals stock and get to what his company does best—boost. PFabrications used the project S2000 as an opportunity to develop and build a custom exhaust manifold, which feeds into their go-to Garrett GT3582R turbocharger. Since plumbing turbos is their business, you're going to be reading the word 'custom' a few more times. 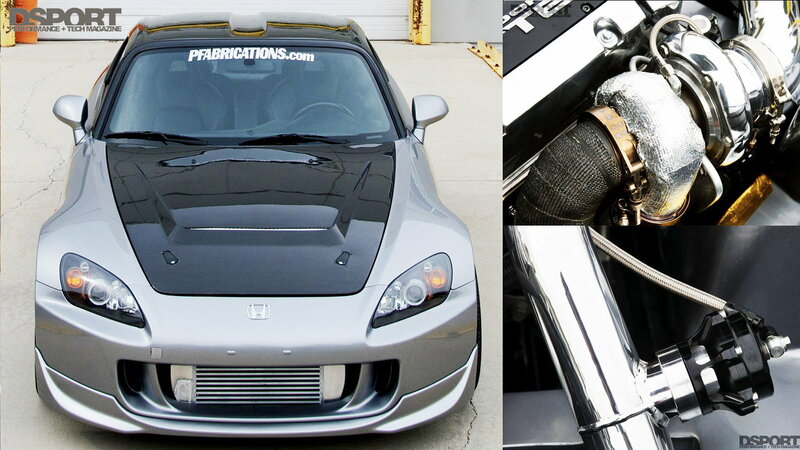 PFabrications built a full exhaust system for the S2000, including a custom downpipe. The intercooler used to cool the intake charge is, you guessed it, custom, as is the intake pipe joining the turbo to the F20C's throttle body. You don't run 9's on a turbo alone, so high-flow fuel upgrades were next on the to-do list. Especially since Cheung planned on running octane-friendly but thermodynamically inefficient E85. The 1,000 cc/min Injector Dynamics injectors get a steady supply of fuel from a 255-lph Walbro in-tank fuel pump working in concert with a Bosch 044 inline pump. The fuel metering and ignition timing are handled by an AEM engine management system. Cheung used Servion Tuning software to coax the combination to crank out 605 hp and 419 lb-ft torque at the rear wheels of the convertible. That was a pretty good start, considering PFabrications has measured stock S2000s at around 220 hp. Remember, this wasn't designed to be a just a dyno queen it was born to run. That meant beefing up the driveline was next. 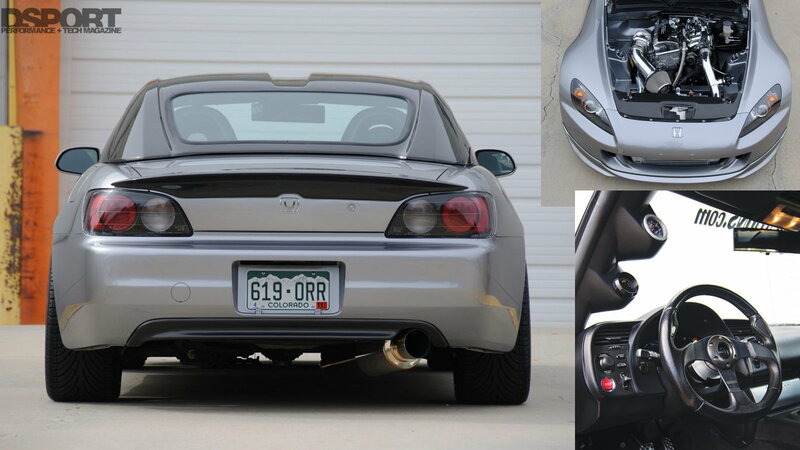 The factory clutch was replaced with a Competition Clutch Stage-4 unit, and Cheung swapped out the AP1 transmission in favor of an AP2 box with more desirable, lower ratios. In the only-for-dragging dept. A Biondo line lock was added, as were a set of Mickey Thompson ET street radials to help hit the low times Cheung was in search of. When Cheung said "cleanest," he really meant it. The exterior is no-nonsense, with an AP2 front end, and carbon fiber hood and hardtop, but no radical splitters or spoilers. But where Cheung's dictate shines is under the hood. All the polished pieces—including the valve cover—combine with the largely-hidden wiring treatment and relocated battery to create an unbelievably tidy presentation, one that has since paid dividends in the form of car show trophies. On 22 pounds of boost, the Honda ran a best E.T of 10.82 seconds, at 130 MPH, in the summer of 2010. Not the 9s Cheung was looking for but he hasn't given up. He figures the path to lower times lies in increased fuel supply, and toward that end, he's already gone shopping. "Injector Dynamics 2000 injectors, a larger 1.03 A/R turbine housing and another Bosch 044 fuel pump have already been purchased," Cheung said. "The plan is to change the pumps from a series configuration to a parallel configuration, then re-tune with the larger injectors and the new turbine housing in place." While he's at it, he plans to install a ten-point roll cage, providing safety to go with the guts that a nine-second run requires. 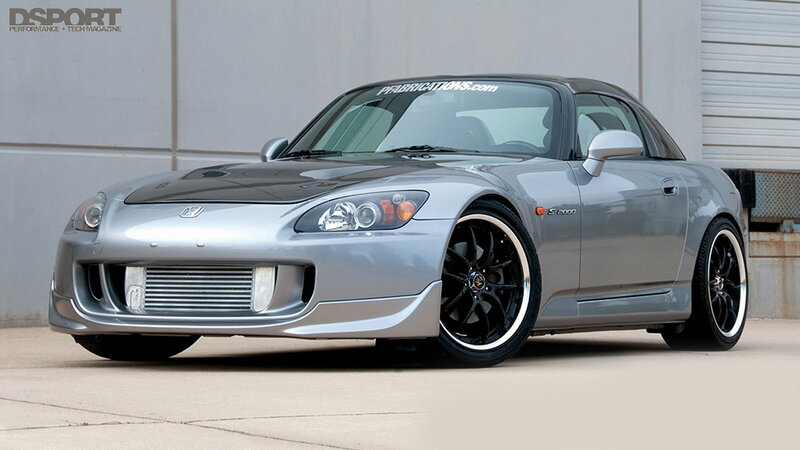 If he’s successful, this S2000 maybe be the first nine-second machine clean enough to eat off of.